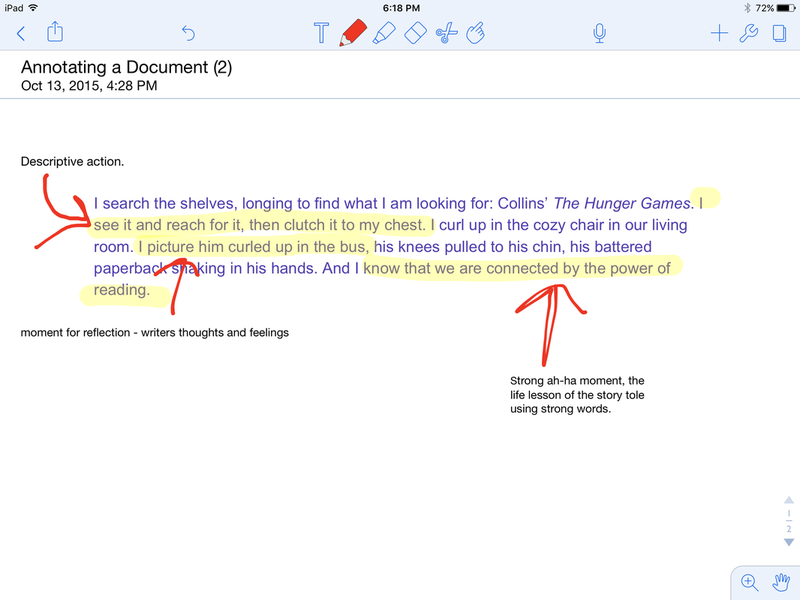 How to annotate to show evidence of learning! Annotating means meaningfully marking up a piece of work to show to show insight into what the reader is thinking. Today you are going to use the learning scale to annotate your personal narrative. First read your essay then take a photo of the learning scale. Now you want to look at the elements of effective technique on the learning scale. Can you identify these elements in your story? If so underline them and add a label to your writing. See my example below for help. after looking at your annotations, where do you place yourself on the learning scale? Highlight that section of the learning scale. 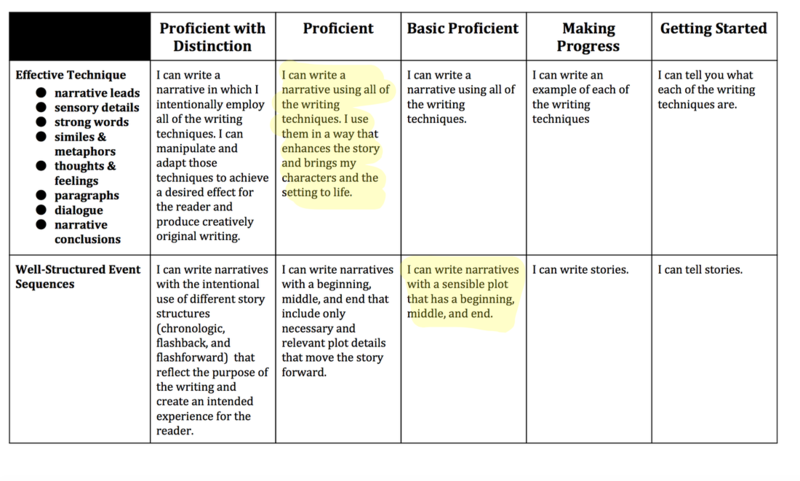 What was your goal that you set for yourself before you started writing your personal narrative? Did you meet your goal? Looking at the learning scale and the annotations, where would you place yourself on the scale? What evidence do you have that reflects this decision? What are the two best things that you did either in the planning or writing of your personal narrative?